Welcome to OULA at The Barn! 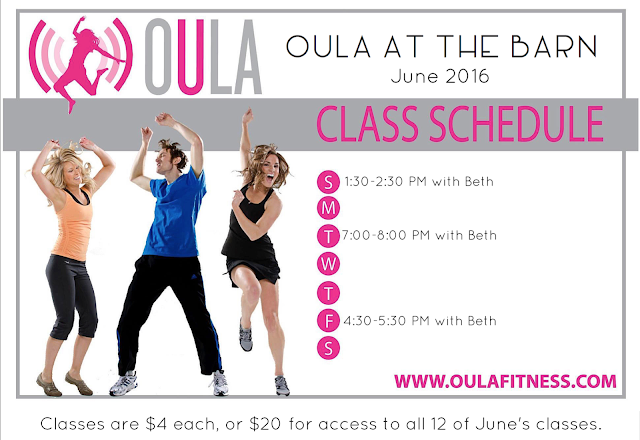 OULA® is a high-energy, calorie burning, crazy-fun dance workout to Top 40 hits, taught at The Barn Movement Studio in Missoula, MT. Classes are one epic hour of sweat, joy, and total inspiration. OULA is Dancemania for the Soul . . . come dance with us! The Barn Movement Studio is located at 2926 South 3rd Street West Missoula, Montana 59801. The owner of the studio politely requests that participants bring a pair of dry shoes to change into before entering the studio so that the floor stays safe and in good condition. Thanks! To receive weekly class updates and invitations and meet your fellow Barn OULAkins, visit our public page, or join our private group. Thank you so much! Let's dance!